Cooling system failure is the leading cause of mechanical failure while driving on the highway. If your cooling system fails, your engine and transmission could suffer major stress-related damage. 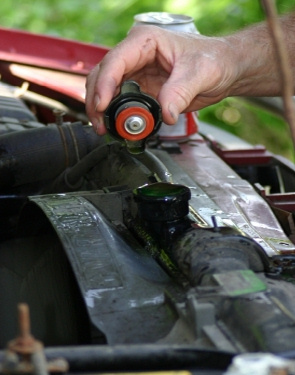 A standard drain and fill replaces only about half of the contaminated coolant. A Kwik Kar Radiator Flush Service removes up to 95% of contaminated coolant and replaces it with fresh coolant to help prevent minor leaks, foaming and corrosion.